Fairytales and Fitness: This my friends is one thing I can't run without, can you? This my friends is one thing I can't run without, can you? As runners, it seems as though we have or own version of "would you rather". 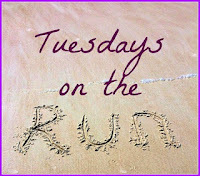 Would you rather run a hilly route on a cool day or a flat fast route on a scorching hot day? Would you rather PR or have the most fun race of your life? Things like that. I didn't ever think I could run without music but in ACTUALITY, I have done ALL my Disney races (except Tower of Terror) without my own music. (Perhaps that is why TOT was one of best races). But anyway, Yes, I think music definitely makes my runs go better, but I've realized that I don't need it to have a good run. Is there one thing you "must have" on your runs? Do you need the #Proof? 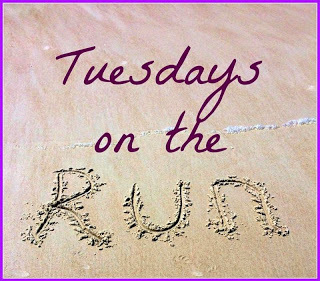 We are linking up with the ladies from TOTR. I'm 100% with you on the Garmin! If it's dead mid-week, I usually switch to runkeeper on my phone, but I prefer my Garmin above all! Yep I can't run without my Garmin either. At least not while I am actually training. If I were just running for fun maybe I could do it, but I feel like I need to know how far and how fast I ran! Music, absolutely. I have my iPhone as my iPod so I have both music and phone with me at all times. I've always psyched myself out when I'm running without music. I can't workout without music at all. I just find it so boring otherwise. I need something upbeat to keep me going. I have to run with my Garmin, but coming in a close second would be a running buddy. Rarely do I run solo. I have to have my phone and Garmin! To think I didn't own a Garmin less than six months ago, what would I have done??? I've with you for both the Garmin and the music. There's something about running with music that helps me to get into the zone. I don't require music or a Garmin. What I NEED is water. I have friends who'll go up to 10 like camels. I like water for anything more than 3. I'm like your friend. I've done 13.1 miles before without water. I am really bad a hydrating! I used to be the same way about running with music but now I'm all about the group runs sans tunes haha. The energy is electric when you're listening to what's going on around you! I always run with music as well. Even if it's just one ear, it's my crutch to have the tunes pumping in my ear. 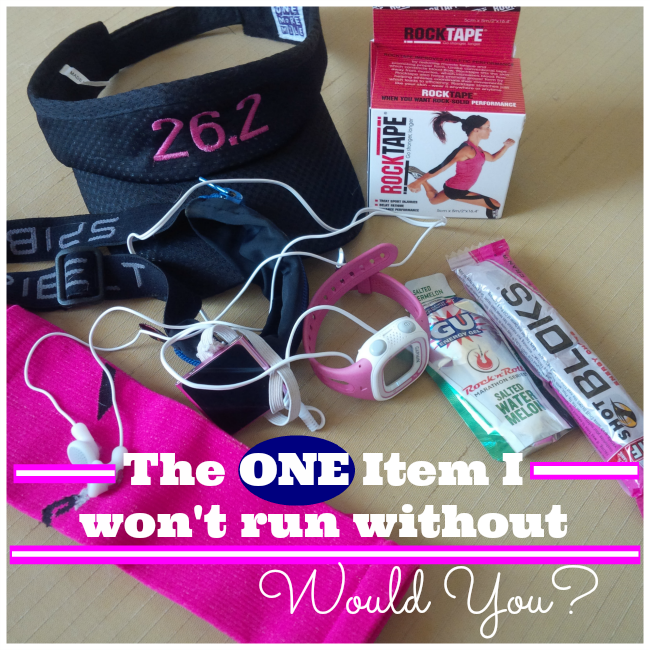 I absolutely must have my Garmin and my running skirt! And...yes....I totally need that selfie #proof! 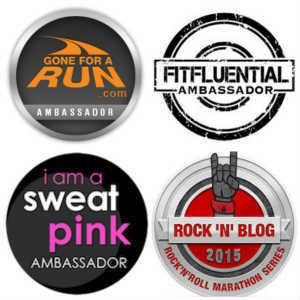 I ran out the door without my Garmin on Sunday before my long run and felt lost without it! Luckily I was running with someone who had theirs, but I still like looking down at mine just to see how far I've gone and how much longer I have left in my run. I like to have my IPhone with me. Music, sure, but it's also a security blanket for me. A few years ago, I probably would have said my iPod or some form of music, but I've trained myself to run without it now, so it's more of a luxury. Honestly, the one thing I need for a good run is some nice, cool weather. I'm gonna say Garmin as well. 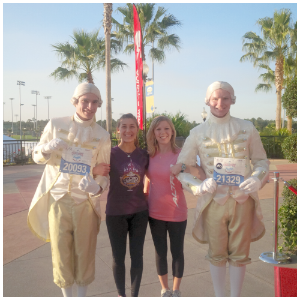 Outsidr of a Disney race though I've never tried running without music. Would be ver interesting to try. I feel the same way about my Garmin. If it's not recorded there, it didn't happen. I've only run a couple of races without music because my shuffle didn't charge or whatnot. They were short races thankfully, because I ended up singing to myself. I had to learn to run without my Garmin and music when the battery died on them. Not fun the first time that happens! I'm wearing a regular watch for my 55k- can't stand not knowing the time! I can't run without my Garmin...not because I am a slave to the numbers though! My coach looks at my workouts online and can offer comments based on HR, pacing and how I thought they went. I also like to have a record of the routes I run and how long they take. It can help with planning! YES YES YES YES YES. I HAVE to have my Garmin or some kind of tracking/timing device when I'm running. I'm militant about logging my miles and which shoes I ran them in, so to have a run where I don't know these things would be torturous. I've heard it said that "things which get tracked are things that make progress" (or something along those lines) and I couldn't agree more. It took me a while to learn how to run without music, but now I've gotten used to it. I try to use music as a mental boost now to help me get through the final few miles of a tough run! I can not run with out music at all...makes me crazy. I can't run without music if I'm alone. I could probably run without it at a race, but otherwise, it really helps me get out of my head. I have no problem leaving Garmin at home if I've planned it, but I freak out if I plan to use it and it doesn't work LOL. Besides my running skirts, the only thing that goes on every.single.run is my phone. Definitely the garmin!! I wish I could live without it, but I just can't. Haha, I'm totally with you! Is it wrong that it doesn't feel like a "real" run if I don't have it?! These days, my running skirts are a MUST, and I definitely could not...COULD NOT...run without music! I've tried it a few times, and it was HORRIBLE. So the iPod is definitely my MUST HAVE ITEM on every. single. run! Definitely the phone. I've been okay forgetting my Garmin.